Latest architectural trends in Pakistan have made the living style far easier by giving out the solutions out of impossibilities. Do you think that a 10-to 14 marla house can have an open air sitting area like a big house has, in the form of lawns and gardens? 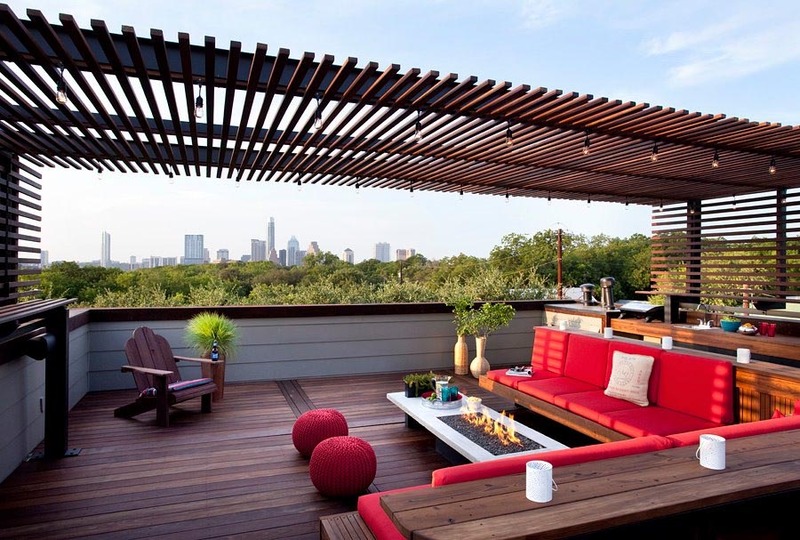 The high-profile architectural and interior designing firms like Amer Adnan Associates ® has come up with smart solutions such as ‘a roof-top sitting area’ in the homes constructed in smaller square feet. Earlier the trend was just confined to commercial buildings such as inns and restaurants but now the residential buildings are also adopting it just to create open-air sitting areas inside the homes for family gathering and functions. Let’s see how this emerging trend is going to be a valuable addition in your house. Roofs have been the most ignored area of a house which residents used to visit seldom. Earlier, the homeowners used to spend on enhancing the look and feel of the structural layout, interior and exterior decoration and less attention was given to the rooftops. However, now to bring a unique element in their sweet homes, the residents are looking for the latest trends, which really present something new, add value to their lifestyle, and create a relaxing environment such as a “sitting area on a rooftop” for the whole family and friends. Creating a sitting area on the roof is now what people are demanding specifically those who don’t have much covered area left for their proper lawn in their homes. A good stylish house with various features attached to it is now considered to be the status symbol in the society and helps improving the lifestyle of a family; therefore, homeowners look for the options in which they can fully utilize the space in a smart way. A single space, with a multipurpose usage is what people dream of nowadays where various gathering, events and celebrations can be done without moving much things. 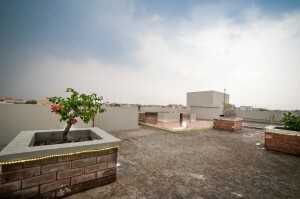 A rooftop now serves to be a multipurpose area –for instance, by creating a multifunctional ambience, you can utilize it as living space or an open air dining area, where you can either enjoy a family get-together or a party time with your friends. The open air top area is especially useful when you want to relish the good weather like cool breeze or cloudy weather in summers or a sunny day in winters. However, to utilize the space as a multifunctional area, you need to bring compatible changes in it. For instance — Amer Adnan Associates ®, an internationally recognized architectural and interior designing company in Pakistan has recently constructed and designed a home in Lahore, the image of which is given as below. Here you can see how the rooftop is being designed and decorated. The rooftop has a specially designed family area where you can see the brick and cemented benches. Even you can add wooden, iron or plastic furniture to sit in. The furniture can be placed on the decorative floor, as it is specifically designed for sitting. A get-together always needs a special kind of dinning as well. Therefore, an area on the roof is fixed for BBQ, where you can place stove and all your cooking kit. Usually, on rooftop people enjoy evening time meal and gossiping, so there is a need of lighting. Here in this image you can witness the decorative lights on the floor and around the plants’ boxes. Growing plants is natural way of adding decoration to an area; therefore, the architects of Amer Adnan Associates have designed special plantation places which are decorated with amazing lights. The flooring, lighting, cooking area, plantation and everything together makes it a perfect family place, where you can a enjoy chit-chat, open-air dining and parties.